Summertime is here which means that every one wants to look their best. For women, hair is a huge part serving the perfect amount of SLAY! Nothing feels better than riding in the car with your friends, windows down, hair blowing in the wind! *raised hand emoji* Whether you are natural or relaxed, extensions aid in the overall look of the hair making them a necessary summer accessory! Now, I don’t know about you but I am not currently able to afford a frontal or closure. Which means that for now I’m still on #teamleaveout. 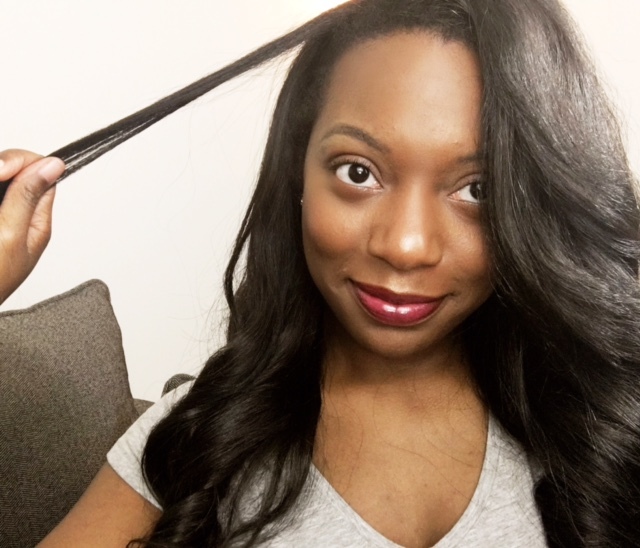 Throughout my years of wearing virgin hair I have always been able to maintain a healthy leave out so I figured it would be good to share some tips on how you could do the same! Your leave out requires the same level of TLC that your entire head of hair would. I don’t advise becoming lazy with how you take care of you hair just because a slither is left out. 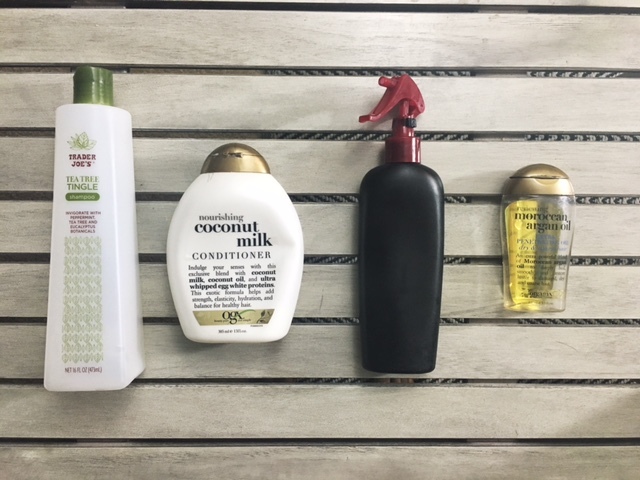 Give those strands the care they deserve! Detangle leave out separately from the weft of hair when styling. Then after detangling blend the hair together. I think this might be one of the most important tips as people tend to lose the most hair when detangling. As much as possible, remember not to brush your natural hair directly against the weft of weave. Remember that your hair, whether natural or relaxed, is a different texture than the weave. Deep condition leave out every 1-2 weeks. Air dry in stretched form after every wash. I like to twist the hair down and secure it with a pin to stretch the roots. Reduce usage of heat by preserving style using pin curls or simply wrapping the hair. Don’t hesitate to throw on that satin bonnet even if you’re just taking a nap! Use heat protectants and light weight oils on leave out. Below are the brushes and hair products that I use on my leave out when wearing my virgin hair. The tangle teaser is used to comb/brush out my natural hair. 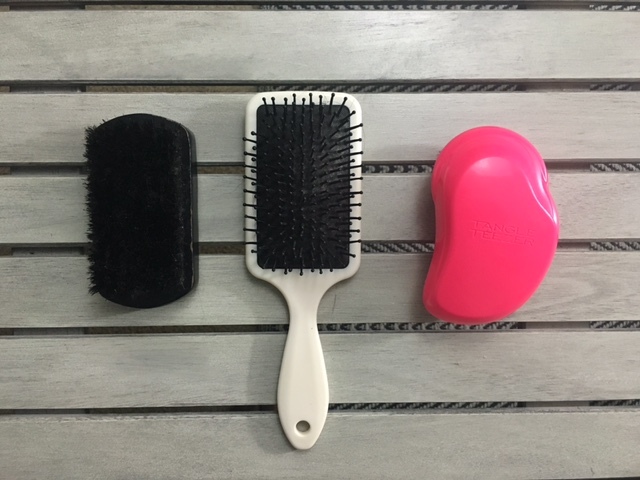 I use the big brush for my extensions and the soft bristle brush is what is used to blend the hair together. Whelp ladies I do hope this helps! Tell me, what hairstyles are you showing off this summer? If you haven’t already make sure that you subscribe to my blog via email!! Follow me on Instagram and Twitter and let’s connect! I now have a Tumblr and I love sharing pictures and reblogging other cool images so follow me there! Thank you so much for visiting!!!! Next Post Five Ways to Keep Yourself Encouraged!